College Humor has already transformed Breaking Bad into an old-fashioned, non-playable RPG, but there are still other bleak cult dramas whose moral complexities can be humorously reduced to point-and-click action. 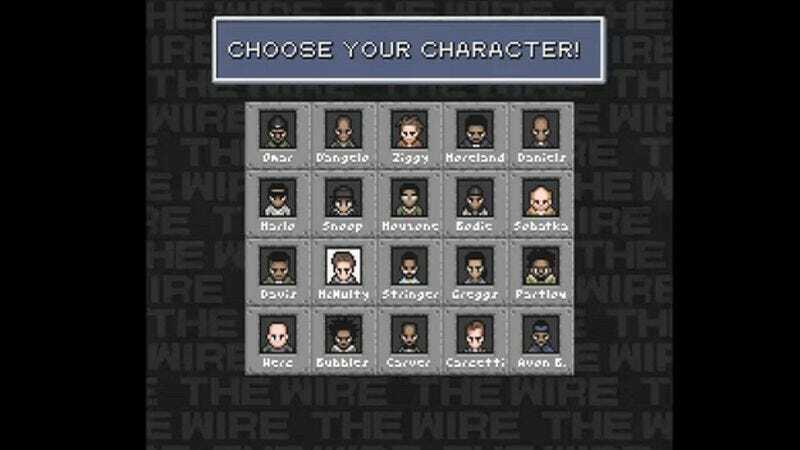 Here you have the spoiler-filled The Wire: Evil Vs. Slightly Less Evil, in which you'll navigate all five seasons of the HBO show (except for the oft-derided season two, thanks to the power of warp) and attempt to take on Baltimore's institutionalized corruption, but mostly just see a bunch of amusing references to The Wire. When it comes to these fake RPGS, of course, that's all in the game.